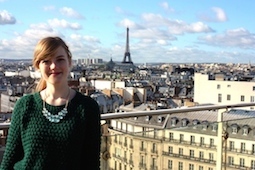 This weekend some friends and I decided to head to Le Marais. 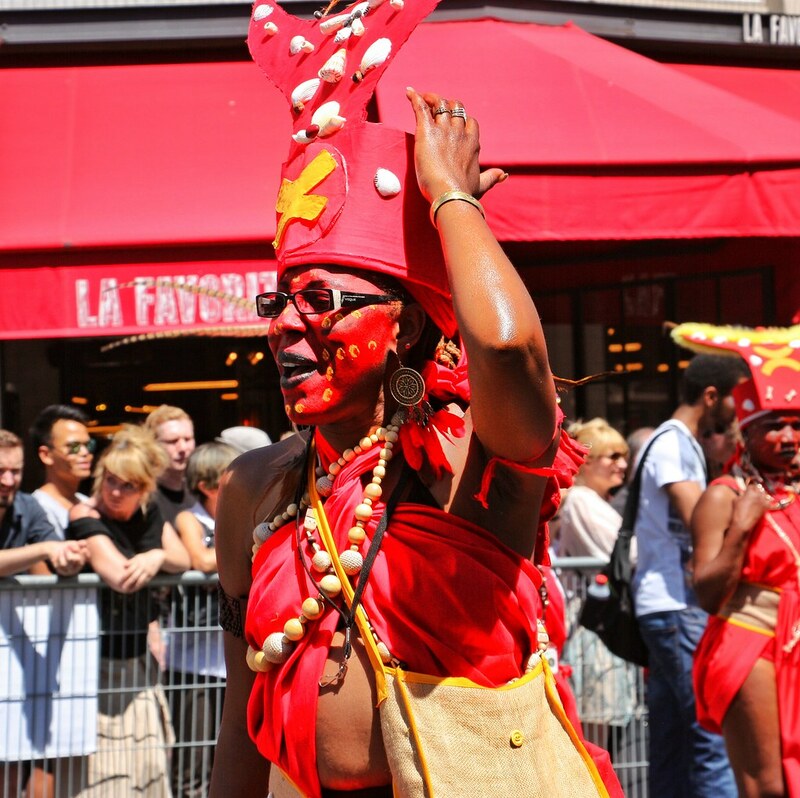 After getting off the metro at Saint Paul, we were welcomed not only by the insanely hot weather but also with amazing sounds and rush of people. 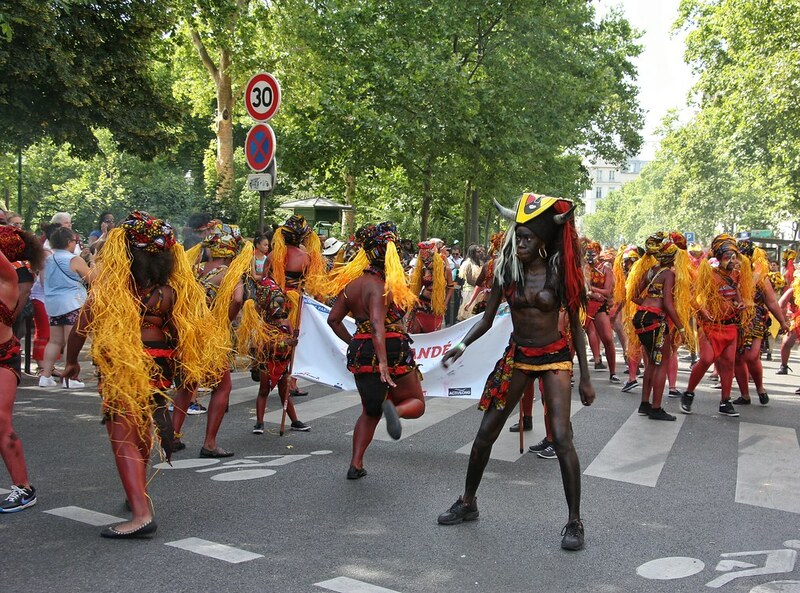 We had just entered into the Le Carnaval Tropical de Paris (Tropical Carnival of Paris). And no one was expecting this! 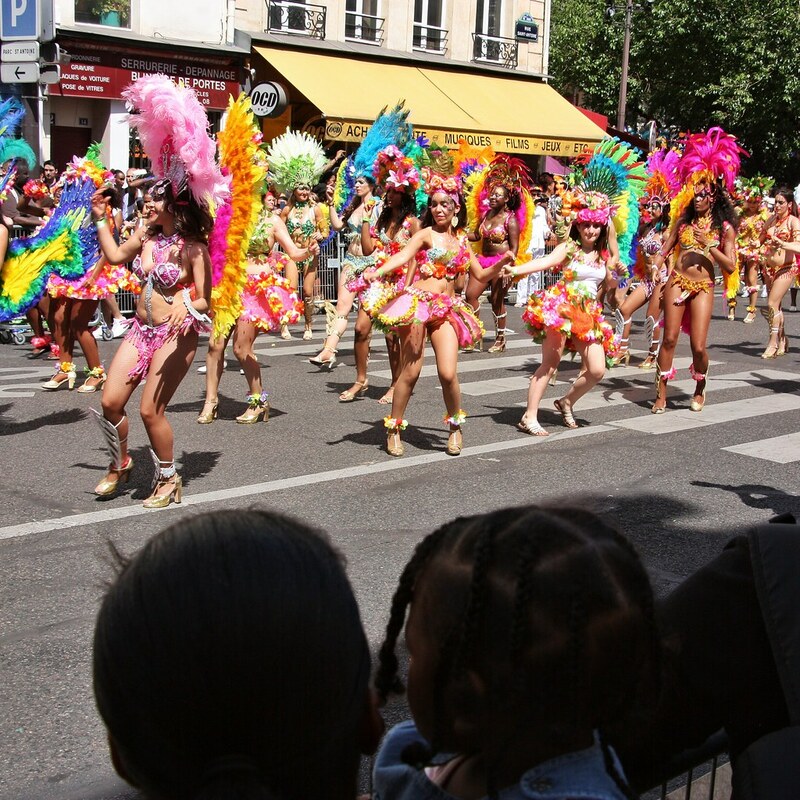 Moving from Bastille Square through Rue Saint Antoine, then onto Rue de Rivoli towards the Place de l’Hôtel de ville and back round to Bastille – Le Carnaval Tropical de Paris was an amazing experience and spectacle. 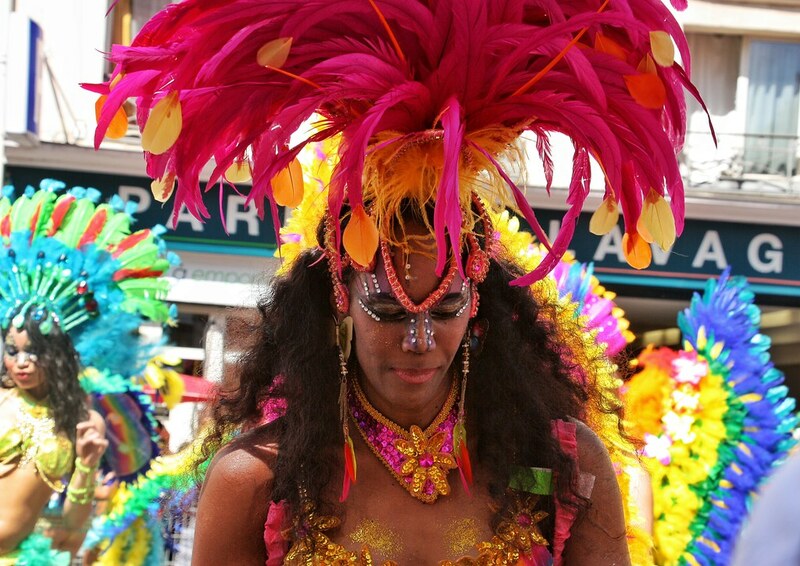 The carnival was originally composed for the metropolis of West Indians, however now it has become so much more – hosting countries from all over the world. 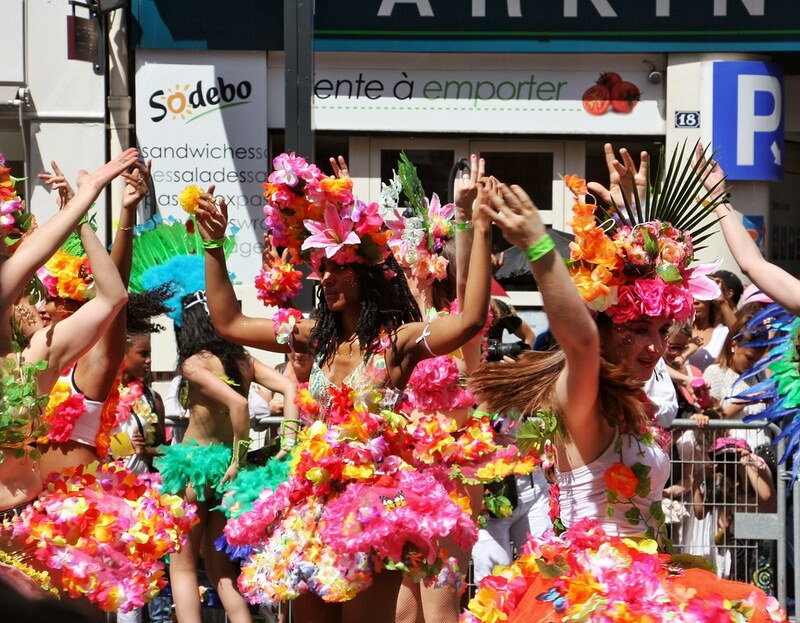 Whilst there, we were able to see dancers from Colombia and Brazil, just to name a few. 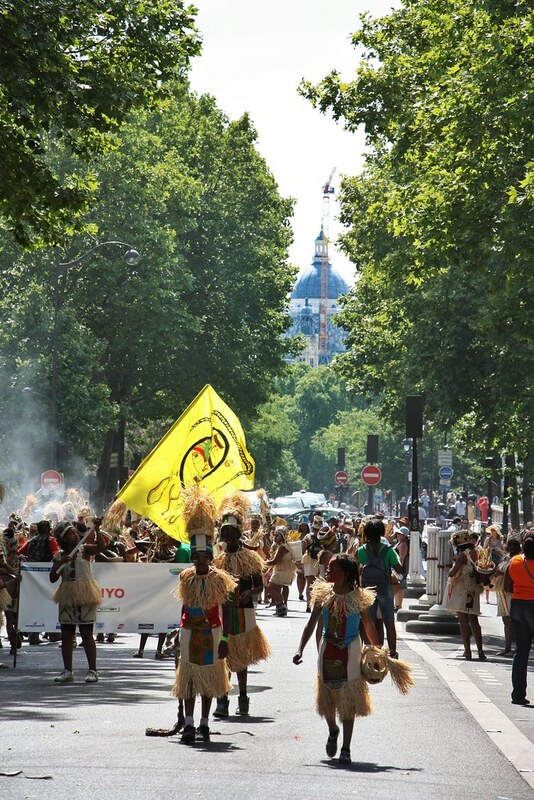 Le Carnaval Tropical de Paris truly aims to represent all the different cultures in the world in one united parade. 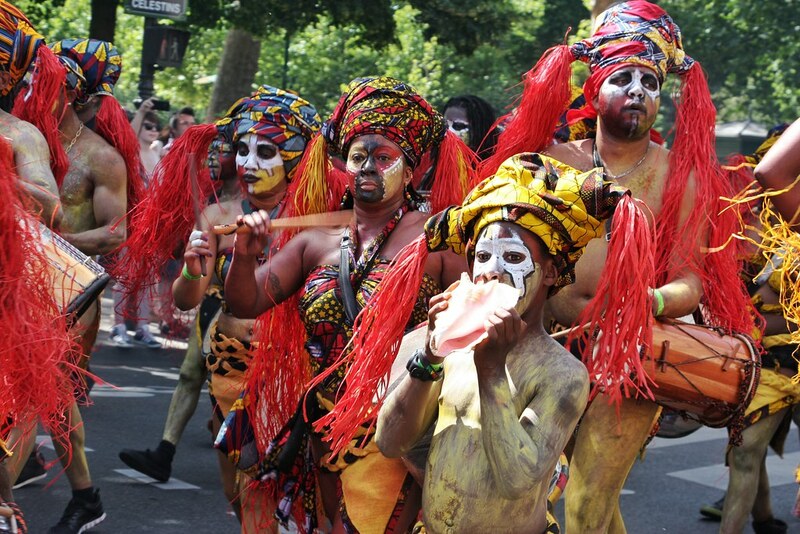 Le Carnaval Tropical de Paris was a feast for the eyes (and ears! 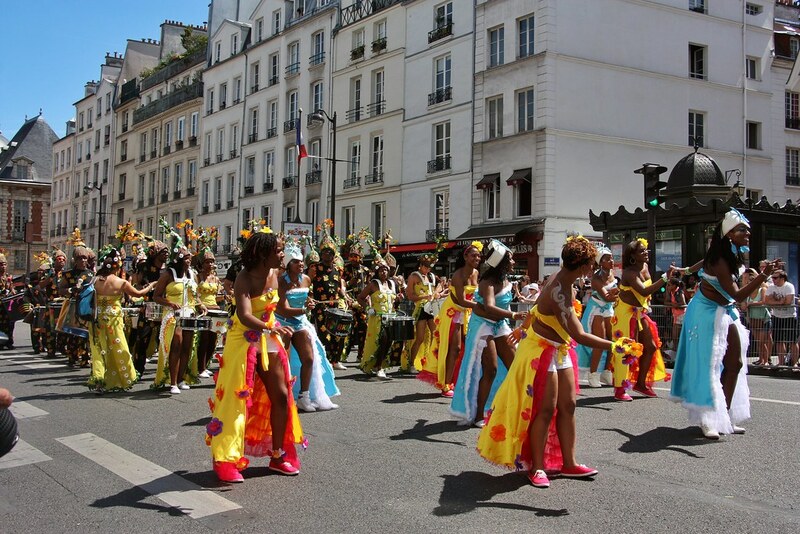 ), with around 4,000 dancers, 40 groups on foot and floats coming to the streets of Paris. Every group was different, offering new and interesting things to see. 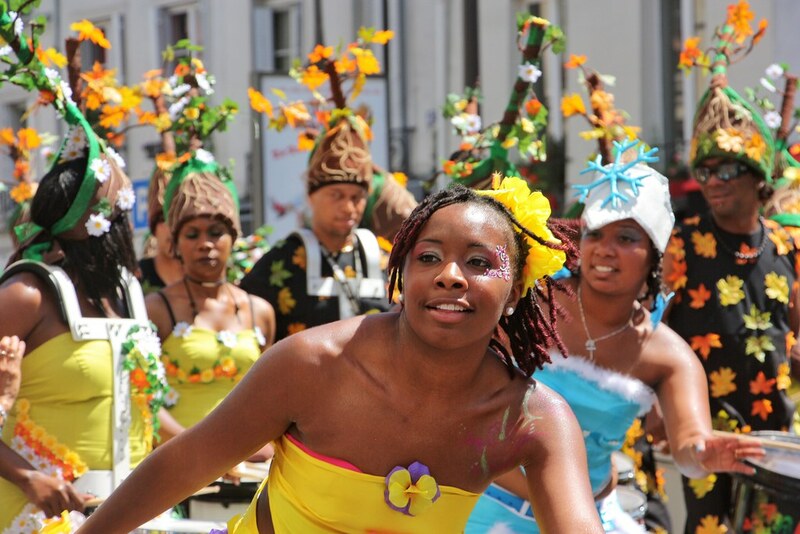 On show was an incredible array of colourful costumes and floats, interesting choreography and dynamic music. 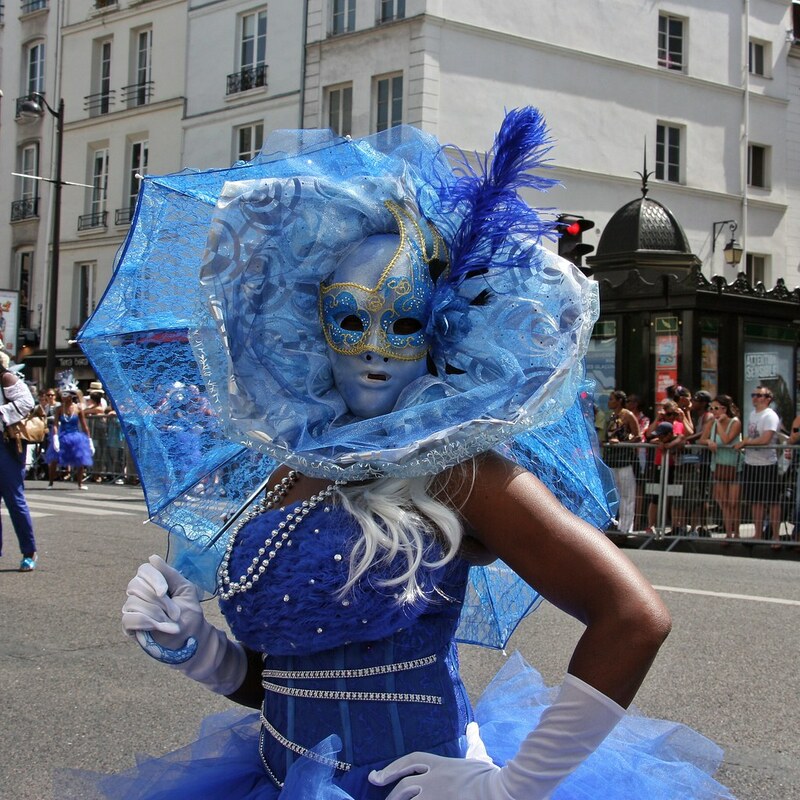 The carnival was so lively, diffusing a sense of celebration and fun. 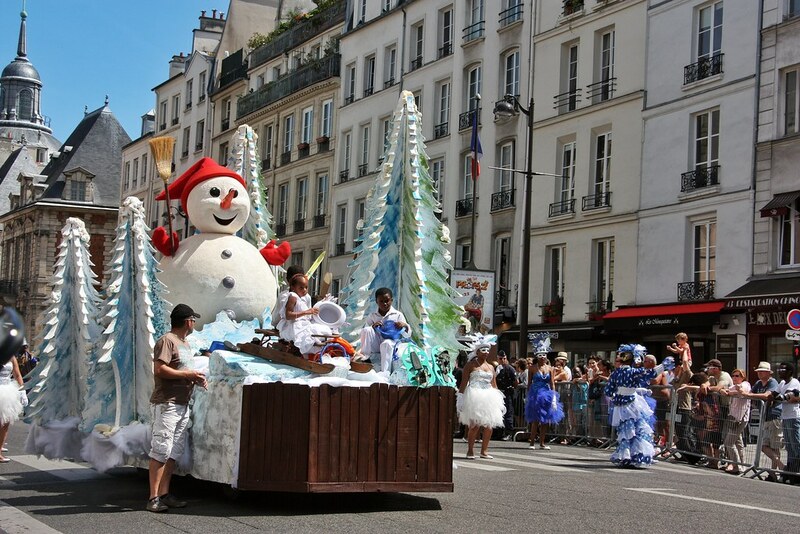 The theme of this year’s carnival was the four seasons. 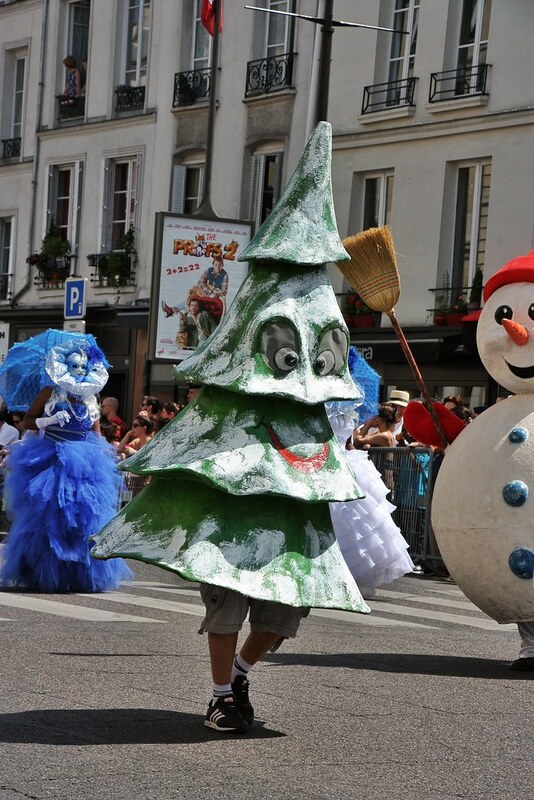 At first my friends and I were incredibly confused as to why Santa Claus and Christmas trees were present, however, now we know! 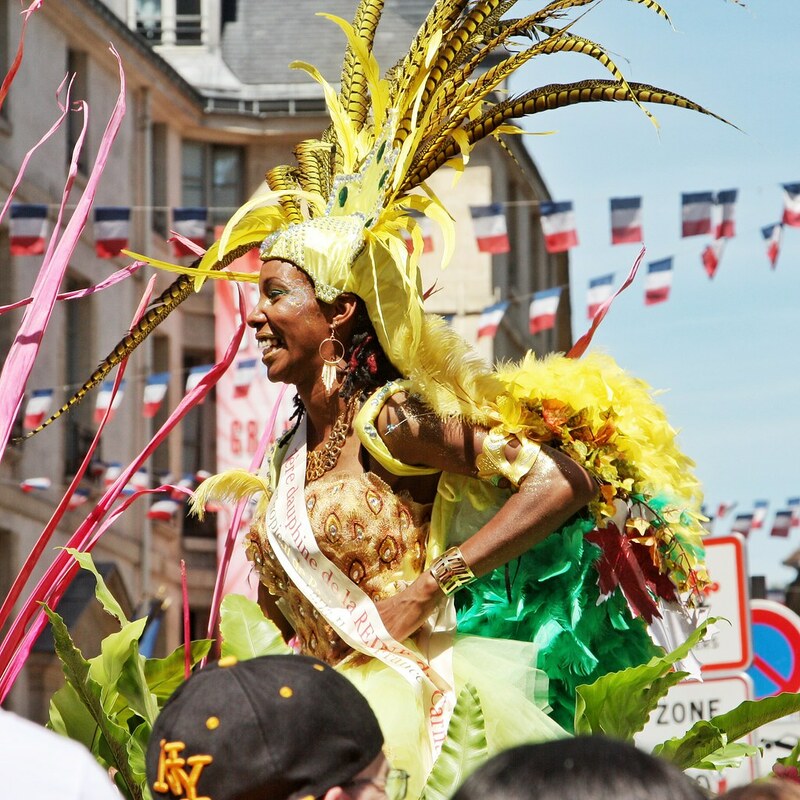 Performed every year, Le Carnaval Tropical de Paris felt like a celebration. 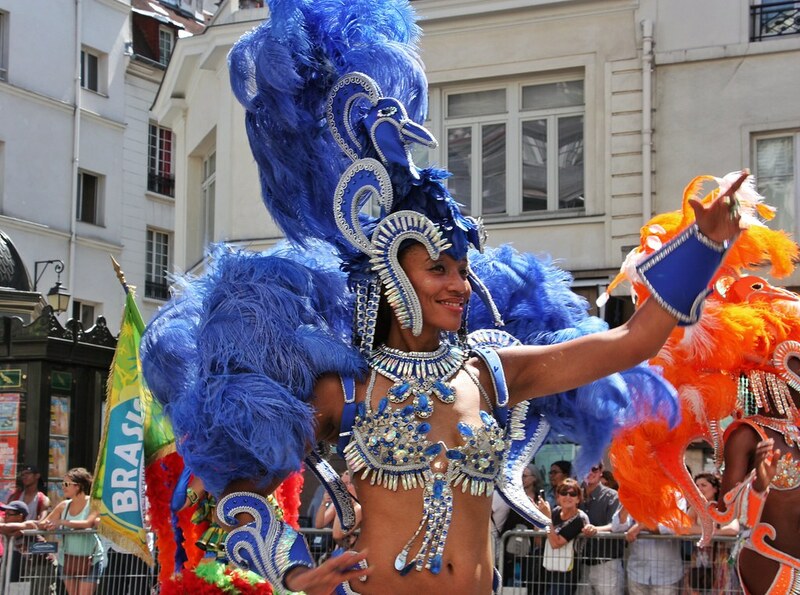 It was a really joyous event, with everyone having a good time and enjoying the wide variety on show. 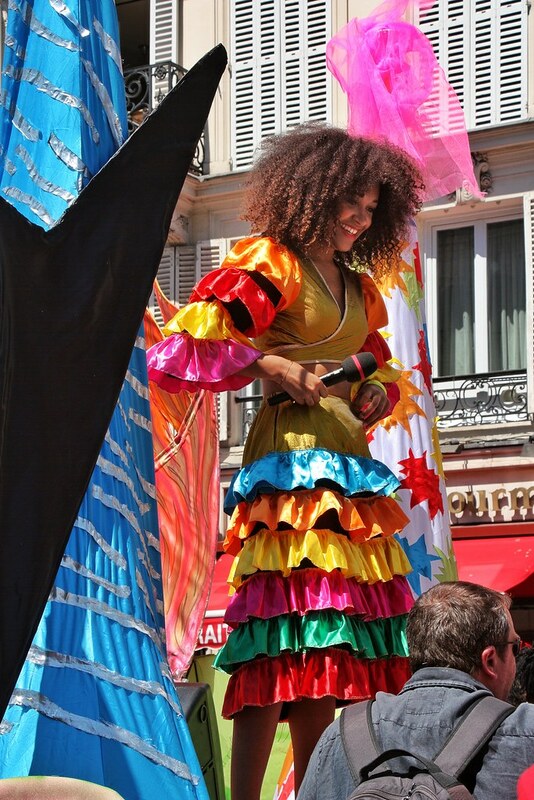 I’m so glad that we randomly stumbled upon this, and if you’re in Paris the next time the carnival is on, I definitely recommend checking it out. 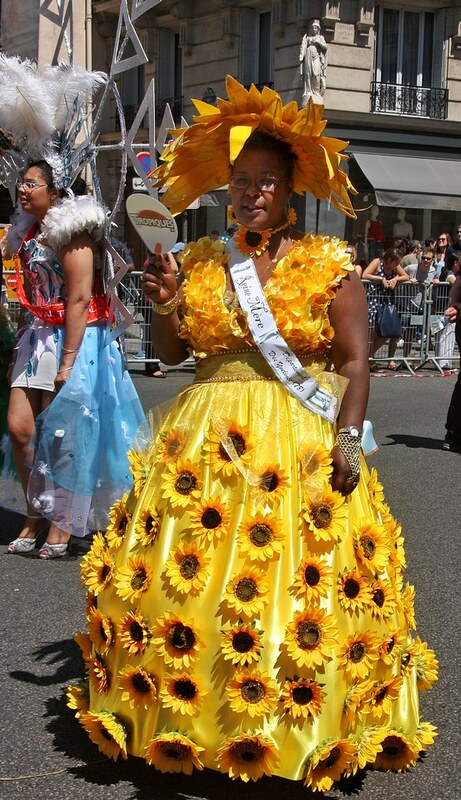 This is one of the things that I love about this city – you never know what you’re going to see or experience each day.